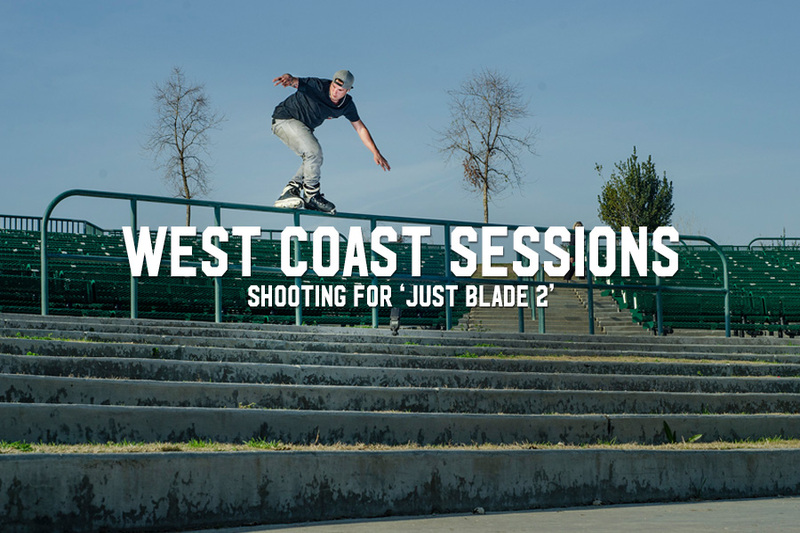 Filming for JUST BLADE 2 included so many sessions that we lost count. But one constant was filming in California, something we did we a mix of talented skaters stretching across more than twelve months. There were sessions in San Diego with the Euro bladers, hitting Bakersfield and Los Angeles with Derek Henderson, and time spent in New York… but we got to have a ton of good times bouncing between San Diego and Los Angeles — with a few other locales along the way — capturing these clips and spending time with likeminded individuals that want to see blading succeed in the long term. So check out these photos captured by Sean Macgowan and Steve Steinmetz as a selection of super-talented bladers did their thing for the cameras. Evert Lubja is a rad blader and good dude — and we were lucky enough to nab two or three night sessions in downtown San Diego during his time in town. This spot went through a period of over exposure, but Sean managed to make it look unique during this night session. One of our first out of town missions for JB2 was up to Bakersfield to blade with Derek Henderson and Chad Tannehill. This was the very first spot we hit, and as Derek waxed the ledge he said something about being glad the fountain was drained. Damn right! Chad squeezed out this cool piece then it was off to the next one. On that first mission up to the central valley, this school ended up being the last spot of our first day, and before lacing a sick switchup Chad nailed this long steezed out TTP. We ran the swtichup in Issue #24 as a fisheye photo, but here Sean snagged the long lens while I was down in the barrel. For a few years now, Jeff Dalnas has made an annual pilgrimage to San Diego to enjoy the sun and blade off the East Coast winter cobwebs. Unfortunately our schedules didn’t sync up as well as we’d have liked, but we managed to get a few sessions in and this was spot one, trick one for our first day out. Jeff does kink rails for breakfast. Driving around looking for spots can be the best way to get things done for the camera, but when that gets old it’s good for Sean to have a spot of two in mind — and even better when Jeff jumps out of the car and makes it happen. Jeff and Garret Mitschelen took turns getting clips on this spot, and as the day worn on and the light got better, Jeff laid this one down for what turned out the be the end of his SD session. Nice little long grinder to hop up. In summer 2018 the Intuition Skateshop crew came to town for Russell Day’s San Diego Classic, and the day before the contest we got out in the streets with Derek, Chad and Anthony Luna. Check the mug from Jon as Luna puts this one through the paces. We mixed up the cast of characters for JB2, so we didn’t get a lot of time to film with local pros like Jon Fromm. But we managed to overlap on a few sessions when homies came to town, so Sean was able to capture this one in North Park. 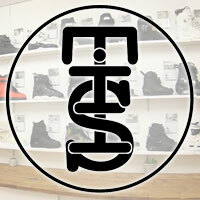 We were surprised and stoked when Chad Hornish hit us up last year. We hadn’t linked up in years, but after driving down from Los Angeles he had no problem hopping out of the car and going straight into a classic move on this big ledge. And Steve Steinmetz was there to immortalize it in this photo. A tour of a few spots hadn’t done much to inspire Chad, but he knew a good one when he saw it at this SD staple. Making quick work of this maneuver, after this Chad hopped back in his car and hit the road back to AZ. We’re looking forward to that next session. To close out filming for the project, at the end of 2018 we headed on a mini California tour, and one stop was the Oakland area to get a few pieces with Philip Moore and his homies. That’s how we met Rich, who braved cold temps and low light to make this cool image for Sean’s camera.